I must make it clear before anything else that this IS NOT my image. I don’t want to be accused of stealing it…. This must be one of the most amazing images of Lions feeding that I’ve ever seen courtesy of professional photographer Shane Cleminson. 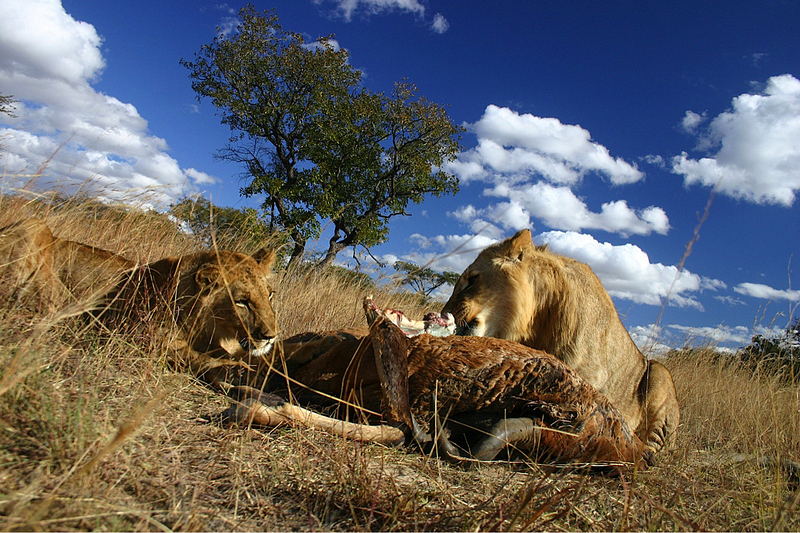 Feeding Lions in Zimbabwe, Africa – Shane Cleminson – Guest Photographer. This entry was posted in Photography and tagged Africa, african, animals, big cats, blesbok, camera, canon, clouds, conservation, eating, feeding, grasslands, hunting, king of beasts, lion, lions, photo, photograph, photographer, photography, shane cleminson, wildlife, zimbabwe by Lewis & Kim Brown. Bookmark the permalink.